Swallowtails love lilies. 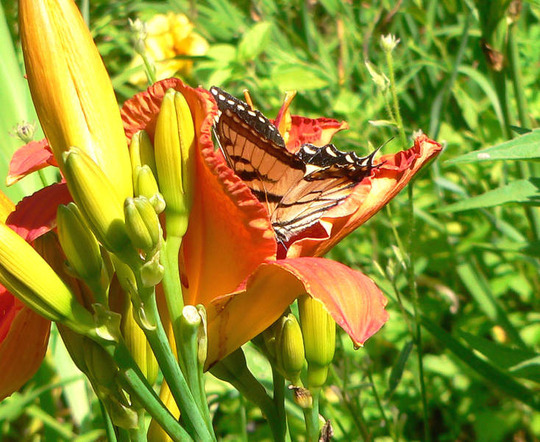 This Tiger Swallowtail seems to be completely swallowed up by the daylily "Alabama Jubilee". What a great picture, Diohio. This photo is of species Hemerocallis. See who else has plants in genus Hemerocallis.